The Berry Schools writes to Mrs. M. B. Morton to inform her that the Highlanders she requested have been mailed. 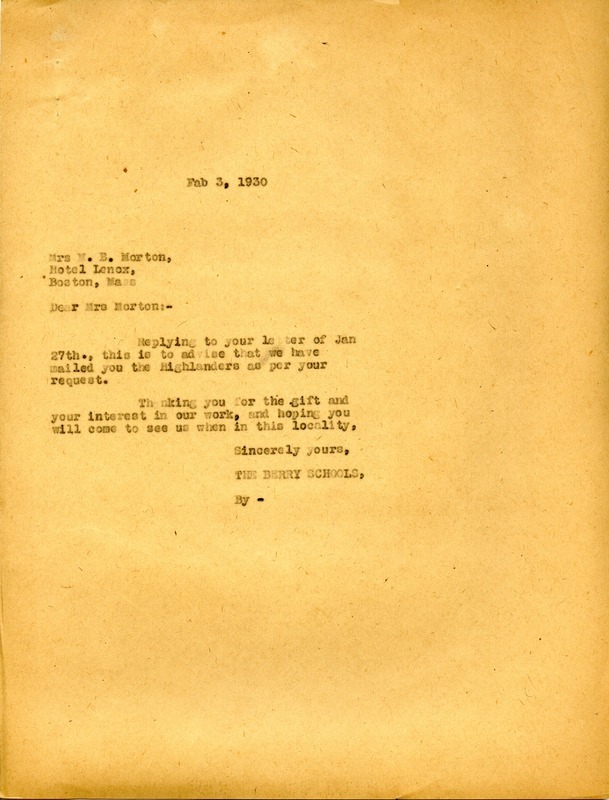 The Berry Schools, “Letter to Mrs. M. B. Morton from the Berry Schools.” Martha Berry Digital Archive. Eds. Schlitz, Stephanie A., Lindsey Purvis, Chelsea Risley, et al. Mount Berry: Berry College, 2014. accessed April 20, 2019, https://mbda.berry.edu/items/show/13497.